Studying at South Devon College is about more than just your studies; you’ll be treated like an adult and have fantastic experiences that will shape you for the rest of your life. Whether that’s an educational trip or getting involved in the many social activities that are available, you’ll get the full College experience. The SDC:SU plays an important part in helping you settle into College life, and it all kicks off with Freshers Week in September. You’ll get the chance to make new friends and join in with social and fundraising events, so there’s always something to enjoy or contribute to, which looks great on your CV. Based across South Devon with campuses in Paignton, Torquay and Newton Abbot, South Devon College is accessible for all. We take great pride in our Vantage Point campus in Paignton on Long Road, just a short distance from the beautiful beaches on the English Riviera. The Student Ambassador role is an excellent opportunity to gain some valuable work experience and develop your personal and professional skills. You will represent the College during a number of activities including campus tours, open events and applicant days. Duke of Edinburgh Award (DofE) and the National Citizen Service (NCS) are just some examples of many enrichment programmes at the College. These opportunities help you develop key skills and values that employers look for, all whilst having a great time! They showcase your dedication, enthusiasm and personal responsibility and can provide you with experiences and memories that will last a lifetime. Erasmus+ is the European Union programme for education, training, youth and sport. Staff and students have travelled to France and Sweden to take part in work experience and to sample the different cultures. The College have secured funding for another 2 year programme to send up to 120 learners and 26 staff to do the same in France, Germany, Ireland and Sweden between September 2017 and August 2019. European work placements and cultural experiences offer a great way for vocational learners to gain valuable work experience and to start their journey of self-discovery. 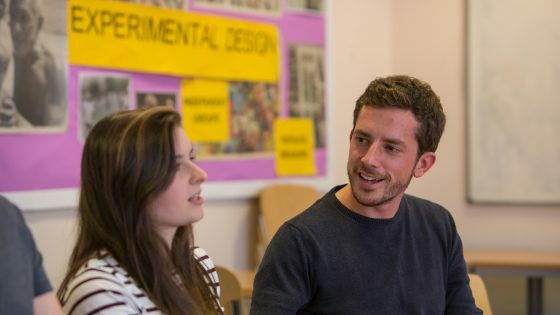 You may choose to become a ‘Course Rep’, which gives you the unique opportunity to enhance the student experience by attending termly meetings. It’s a great way to make a difference and employers value it on your CV. The Common Room is a space where you can chill out and socialise between lessons, play pool, listen to music or just hang out. Everyone is welcome so say hello and introduce yourself.